"There's a sense of relief today because a killer's off the streets," Undersheriff Carmine Marceno said. "No matter where she went, no matter where she hid, we were going to get her." A Minnesota woman suspected in two murders in two states is a "stone-cold killer," officials said Friday, expressing relief that the fugitive grandmother had been caught after a monthlong nationwide manhunt. 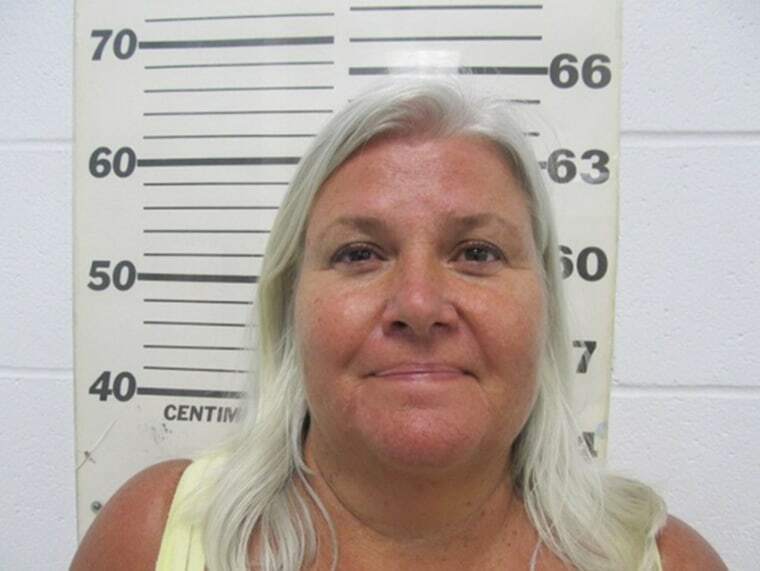 "There's a sense of relief today because a killer's off the streets," Undersheriff Carmine Marceno of Lee County, Florida, said of Lois Ann Riess, 56, who was arrested Thursday evening in South Padre Island, Texas. "No matter where she went, no matter where she hid, we were going to get her." "This case, from the very beginning, struck me as odd," he added. "She looks like anybody's mother or grandmother, yet she's an absolute cold-blooded murderer." Riess is suspected in two murders: that of her husband, David, in their home state of Minnesota in late March, and that of Pamela Hutchinson, whose body was found in a Florida condo on April 9. Both were shot to death. She looks like anybody's mother or grandmother, yet she's an absolute cold-blooded murderer." Authorities allege that Riess fatally shot Hutchinson, whom she had met just once, because of the similarities in their appearance, making it easier for her to then steal Hutchinson's identity. She then eluded investigators through multiple states, all while driving Hutchinson's Acura TL, they said. Her arrest finally came Thursday evening in South Padre Island. The beach community is 27 miles from the U.S.-Mexico border crossing. The arrest put an end to a manhunt that attracted attention from coast to coast, with Riess' face broadcast on news outlets across the country, on social media and in billboards in five states. Triumphant authorities in three states — Florida, Texas and Minnesota — held news conferences on Friday, thanking the public for their vigilance and the media for getting Riess' picture out. Riess was captured Thursday around 8:25 p.m. CT when plainclothes officers tracked down a tip that she had been spotted at a restaurant in South Padre Island, said the police chief there, Randy Smith. But when they got there, Riess had meandered over to another restaurant, Sea Ranch, Smith said. With federal deputies waiting outside, the plainclothes officers approached her, asked for her name and requested that she step outside. "She had a couple of friends with her. I'm not sure if they're friends that she had just met locally, or someone that she had brought in with her," Smith said, adding that he didn't believe they were South Padre Island residents. Riess was arrested without incident, Smith said. "By the time she realized what was going on, it was out of her control at that point," he said. "Ms. Riess was not surprised whatsoever" by the federal deputies who came for her, said Deputy U.S. Marshal John Kinsey. "She knew it was coming." Investigators do not yet know Riess' motive, but are looking into whether a gambling addiction was part of it, Dodge County Sheriff Scott Rose said in Minnesota. And there is no indication that there were any additional victims, he said. Riess faces charges of murder, grand theft auto and identity theft. If Florida prosecutors find that the murder of Hutchinson, her look-alike, was premeditated, Riess could face the death penalty. It has not been determined yet which state will handle her case. She will be held in Texas, where she will see a judge, for the next 48 hours. Authorities said they were in awe of Riess' apparent callousness. Marceno said surveillance video captured her befriending Hutchinson, 59, on April 5. "When she befriends Pam Hutchinson, our victim, she's smiling," he said. "This is a stone-cold killer." Investigators were dogged in spreading the word about Riess. Hours before she was arrested, the Dodge County Sheriff's Office in Minnesota released surveillance video that showed Riess buying a sandwich at a gas station convenience store in Northwood, Iowa, last month and asking for directions south out of the state after she was spotted at the adjacent Diamond Jo Casino. The video was believed to be the only one investigators had of her speaking, and they hoped that the audio would help lead to her capture. It was taken on March 23 — the same day authorities found her husband's body, although they said he could have been dead for days. Marceno told NBC's "Today" show" that Riess "has an absolute gambling addiction." Officials nicknamed her "Losing Streak Lois." Authorities say that after killing her doppelgänger on or around April 5, Riess stole Hutchinson's driver's license, credit cards and car. She then went to a bank and withdrew $5,000 from her victim's bank account, authorities say. The money appeared to be for another gamble — one that actually paid off. Kinsey, the deputy U.S. marshal, said Riess went to the Coushatta Casino Resort in Kinder, Louisiana, on April 8, where she claimed a jackpot.